Congratulations to October’s 120th Customer! CONGRATULATIONS to the October winner of DFT Communication’s ‘Win 50’ giveaway! 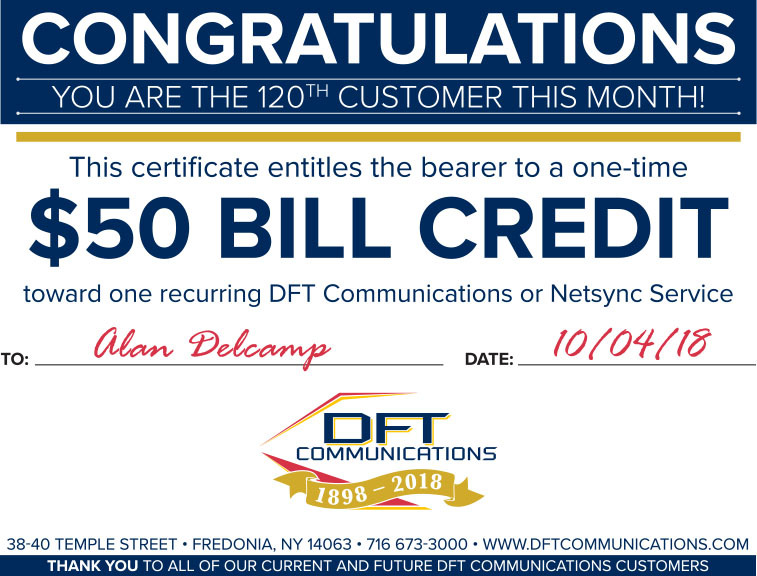 Thursday, October 4th 2018, Alan Delcamp was the 120th customer in The Netsync Store. He won a $50 bill credit for one of his recurring services with DFT or Netsync. DFT Communications’ ‘Win $50’ promotion is in honor of our 120th year of business, and runs through the end of the year. There are only two more opportunities to win. 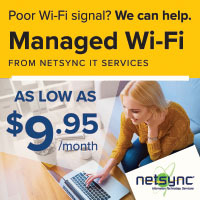 So be sure to stop in to 38 Temple Street to pay your bill or upgrade your service. If you do, you could be next month’s winner. For more information on the ‘Win 50’ promotion, click here.